Ouuu yeahhh!! 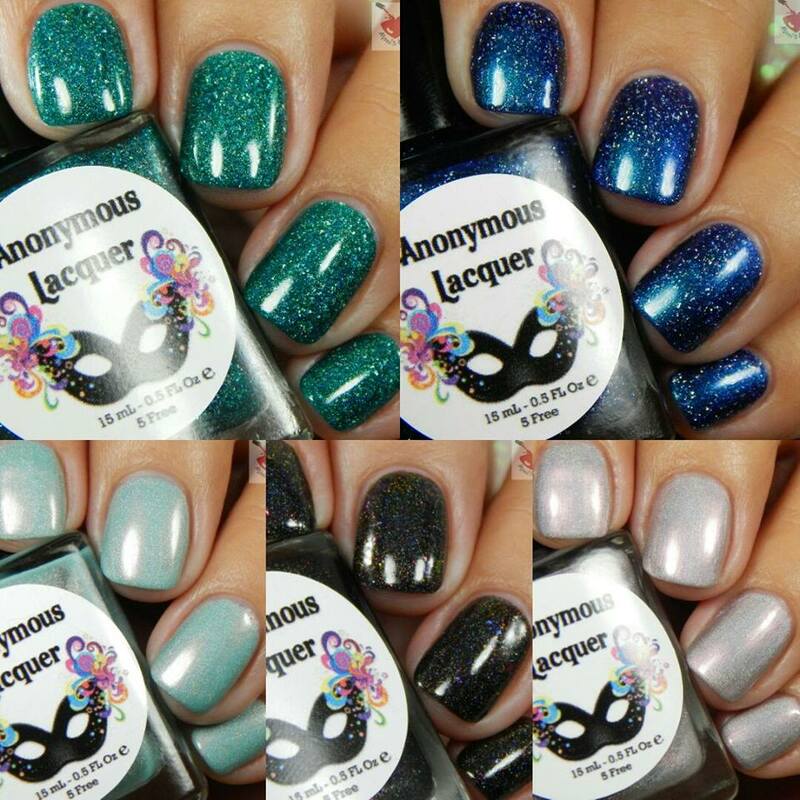 another awesome Anonymous Lacquer collection is out!! I love this brand! I have been working with Mildred for over a year now and I absolutely love both brand and maker. 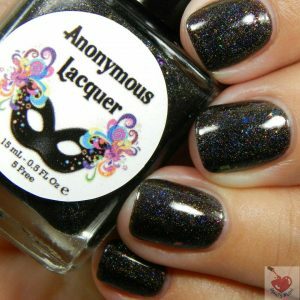 Anonymous Lacquer is definitely one of those awesome brands that are totally underrated!! Why is this brand not huge yet?! Put an AL in your life and you will fall in love!! Let’s take a look at the Color of Magik Set! Is a blue to purple multishifter with gorgeous holo micro flakies. Absolutely PERFECT!! 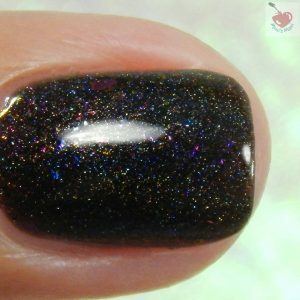 I think my fav of all the multi-shift polishes I have seen this season. Those micro flakies totally take the win! You see three thin coats plus glossy top coat in the pics.. third coat totally unnecessary . Ultra holo pale pink leaning gray. Another beauty, my cam totally doesn’t do this baby justice. It’s super pretty and soft and delicate. The formula is wonderful! I did three thin coats to absolutely ensure full opacity. Brush strokey? nah! I think you can see a couple of strokes but I mean.. this is a pretty soft color with awesome awesome holo goodness so one or two lines are NOTHING! 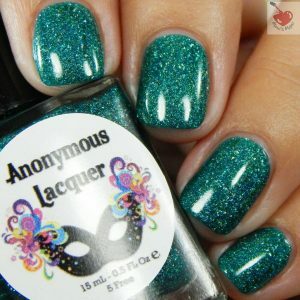 Is an ultra holo deep teal with holo flakes. GAW-GEOUS, seriously, gorgeous! this is one of those knock you off your feet polishes. The formula is perfection! You see three thin coats plus glossy top coat in the pics. 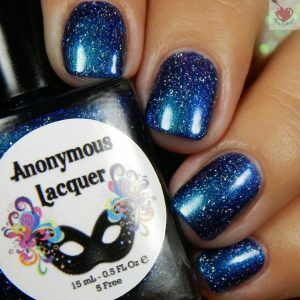 Is a light holo mint blue with rose gold shimmer. Ahhh so pretty!! 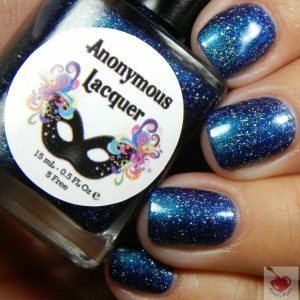 this is super unique and definitely not your typical “winter” polish. Beautiful, super soft and that shift is ever so beautiful! 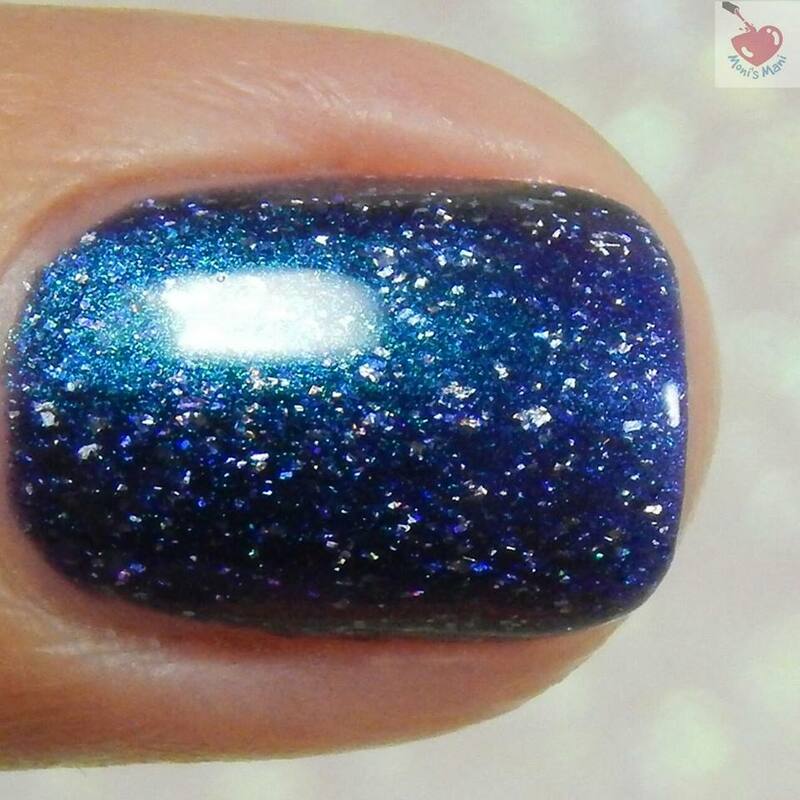 You see three thin coats plus glossy top coat in the pics. I love this collection!! You will def see at least a couple of these polishes in my favorites of the year post. Pick these up!!!! The Color of Magik Set retails for $50usd for the set and $12usd individually. Prices don’t include shipping.